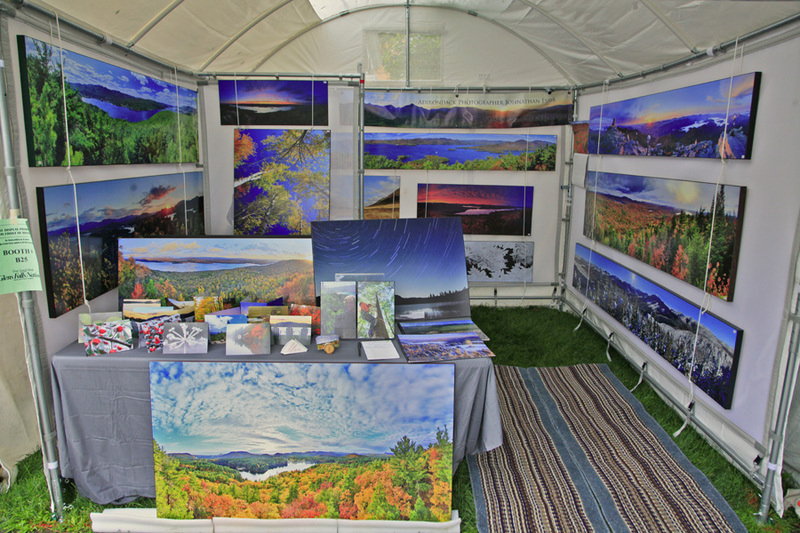 Here's a photo of a typical setup I have for the outdoor shows I vendor at around the Adirondack region. in 2011, I sold my photography at 21 shows. Photo © copyright by Johnathan Ampersand Esper.